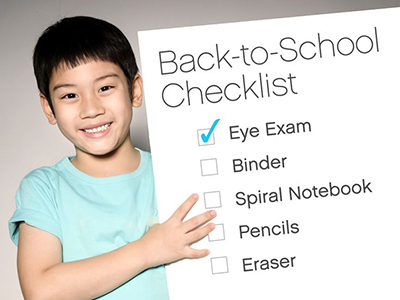 Appointments are filling fast for back to school eye examinations as parents get ready for students to return to school. Eye health and vision examinations are an important part of school preparations because some studies show that as much as 80% of effective learning is the result of good vision. Good vision helps in the classroom, with reading, and activities such as sports. Good vision can also improve self esteem as the world around your student is as clear and accessible as possible. According to the Vision Council, as many as 25% of students have an undetected vision problem. While vision screenings have their place, nothing replaces a thorough eye health and vision examination to keep your student performing at their best.